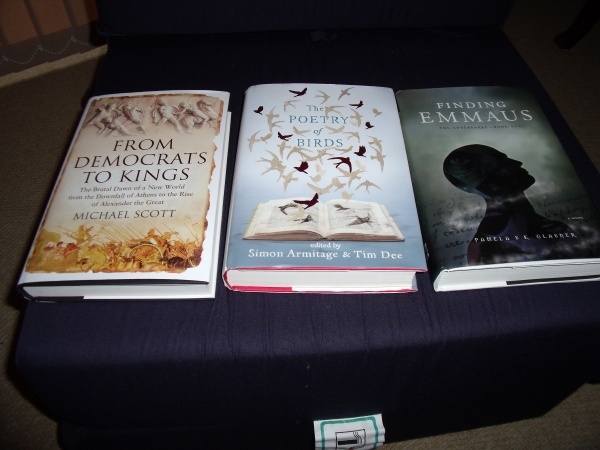 These actually are ‘books received’ (apart from one that I bought from the splendid Book Depository) — several competition prizes, a review copy, and the magazine was a complimentary copy. Some interesting stuff there, I think. Which is The Windup Girl? (He said, getting increasingly irritated at not having received the copy he pre-ordered direct from Night Shade.) And is it a first edition? The Windup Girl is the one I bought. Is there more than one edition? OK, now I am moving beyond irritated into annoyed. Given that I placed my order in June. 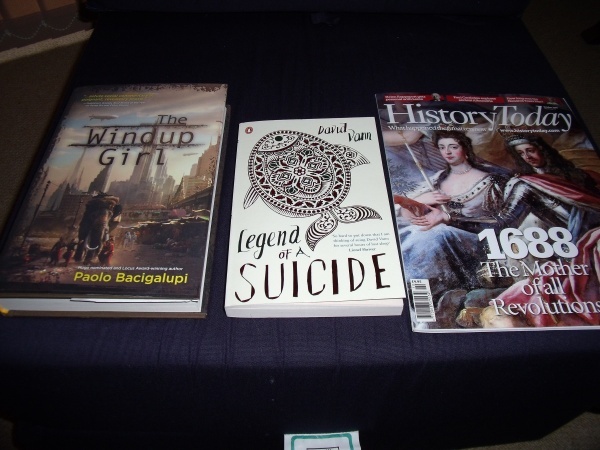 Errata: Due to a production error, Paolo Bacigalupi’s acknowledgments was omitted from the first edition hardcover of THE WINDUP GIRL. We regret this error. A PDF of this acknowledgments page can be downloaded here. I’m not sure whether this means there’s already been a second printing, or whether all copies in circulation at the moment have this error. Oh, I see. From memory, I think there is an acknowledgements page in my copy, but I haven’t really taken much notice. This was the first time I bought something from the Book Depository, and my order came in just a few days, so I’ll be using them again, for sure.